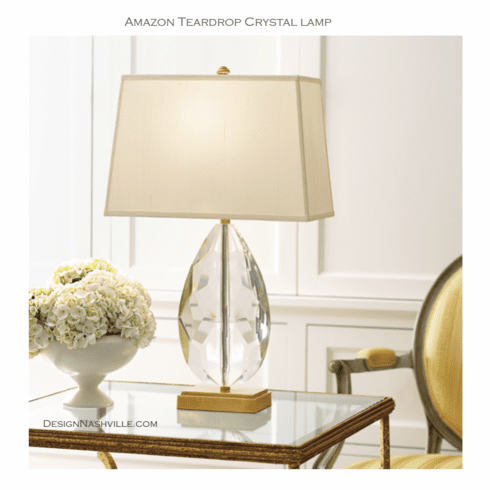 Solid crystal and antiqued solid brass lamp with rectangular hardback fabric shade, max. 100 watts; 14½" x 8½" x 24¾" h.
usually in stock. save 10% when ordering a pair. code "buy2" at checkout.